If you have common skin and hair problems such as dry itchy scalp, acne, dry skin, greasy skin or dandruff, then you shouldn’t reach for your regular old shampoo and face wash, the next time you head into the bathroom—you need to be reaching for a natural nettle soap and nettle shampoo that’s free from soaping agents. A natural soap bar made with nettle can make a world of difference to your skin. Nettle has natural astringent properties; astringents are great for treating skin issues such as greasy skin, dry, itchy and inflamed skin due to insect bites, chicken pox, and even eczema. If you’re looking to treat these types of conditions, look for a bar of soap made with nettle extract or oil that’s free from parabens and soaping agents such as SLSa. Though you’ll want to make sure you’re using nettle soap as well for external problems. Find some nettles and cut of the leaves with as little stem as possible (the older looking nettles are sweeter). Fill up a cup full and wash them thoroughly in warm water. Put the nettles in a large saucepan with 4 cups of water and add the sugar or honey. Put the pan on the hob and bring to the boil, then simmer for 15 minutes. Taste the tea and add any more sugar if needed. Serve in mugs with a nettle for decoration. (For the iced-tea) Put the tea on the side for 30 minutes then transfer to the fridge for 2 hours. Serve with ice and a nettle for decoration. The anti-inflammatory properties of nettle could also help you treat skin burns and even reduce the visibility of burn-related scars. 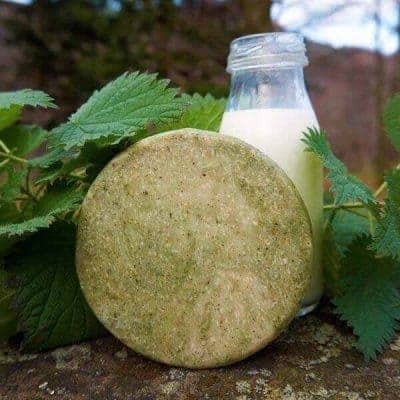 Shampoo bars made with nettle and regular nettle shampoo have many benefits for your hair and scalp. The most noticeable benefit is the reduction of a dry, itchy scalp as well as dandruff. Regularly using nettle shampoo will make you forget you ever had to worry about flakes on your favourite shirt! 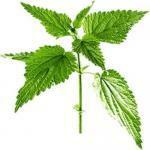 But nettle isn’t just good for treating your dry scalp: it can even help with hair loss. In fact, nettle is one of the oldest recorded remedies used for treating and preventing hair loss. This is primarily due to the high amount of sulphur and silica in nettle, which improve hair health by strengthening the hair shaft. Regularly using nettle shampoo can promote hair re-growth and reduce hair loss. There are thousands upon thousands of skin and hair care products out there on the market today, and you may be wondering: why choose nettle over the countless other items found on store shelves? The reason is simple: nettle has been proven to benefit the health and look of your skin and hair. There is a reason why it’s been a popular remedy for thousands of years, after all!